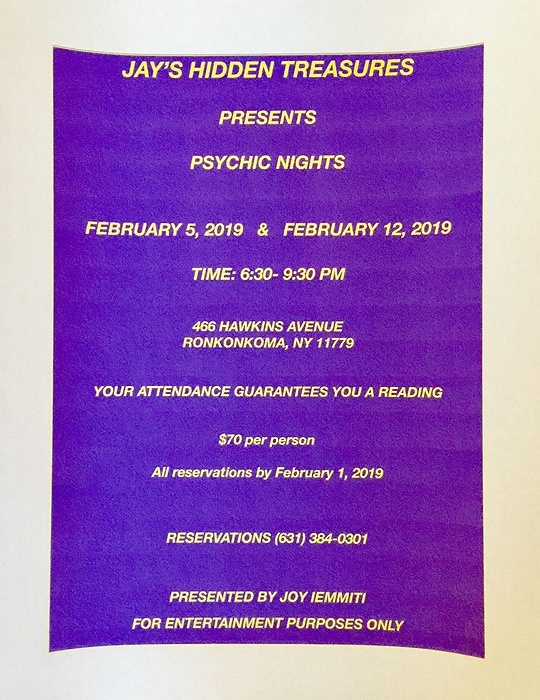 Subject: LongIsland.com - Your Name sent you Event details of "Psychic Night"
February 5th and 12th Jay's Hidden Treasures is hosting a psychic night. Flyer attached. Refreshments served and 15 minute private readings to all.